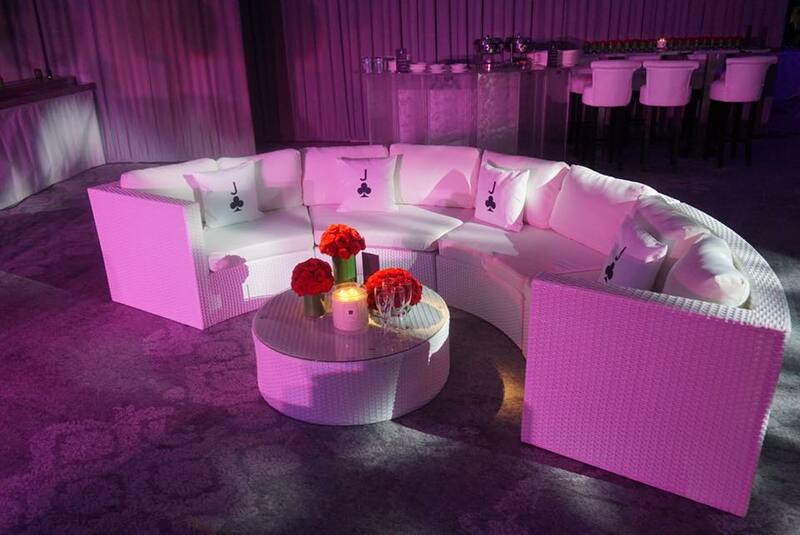 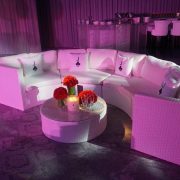 The Bulgari outdoor sofa set comprises a white rattan curved sofa with white fabric cushions. 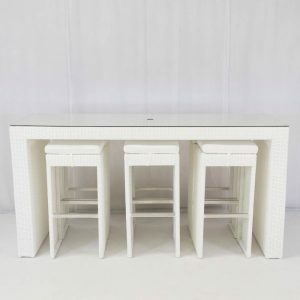 It also comes with a glass-topped matching white rattan table. 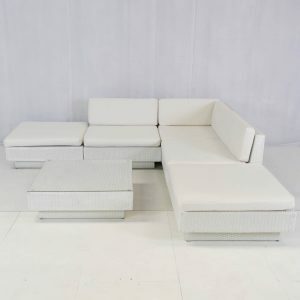 The sofa comes in four sections, which can be separated if necessary to create smaller sofas. 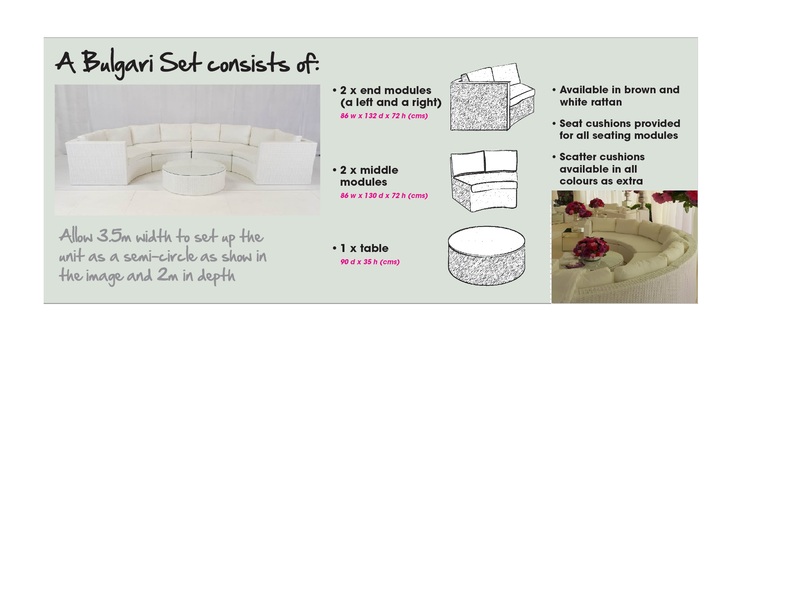 Please note that the sofa and table are hired as a complete set. 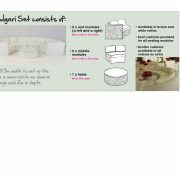 Please see the gallery images for measurements. 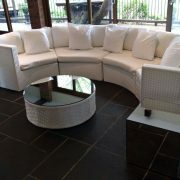 This sofa will seat 6-8 people and is also available in dark rattan. 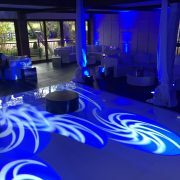 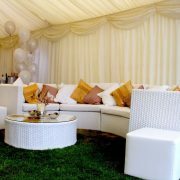 Need to seat a large number of guests? 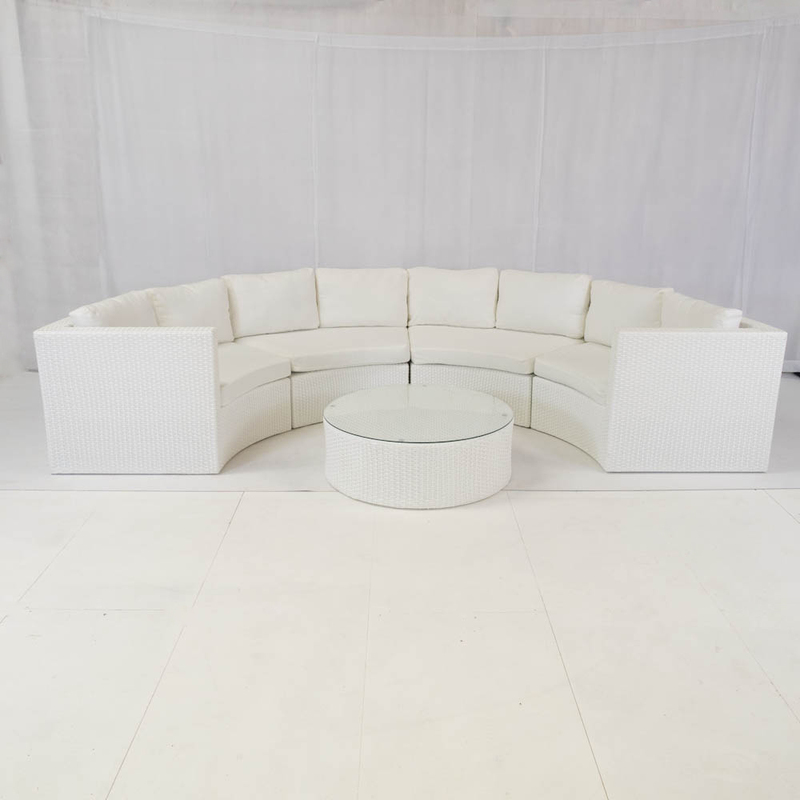 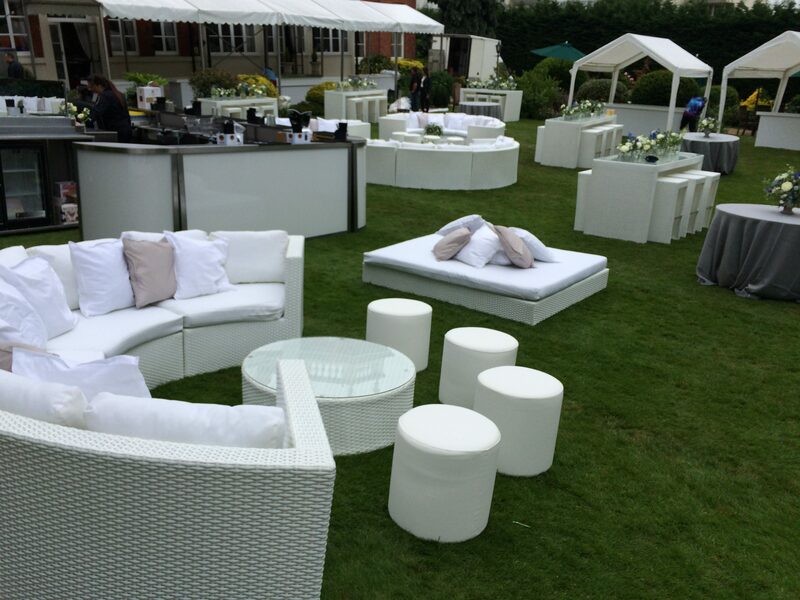 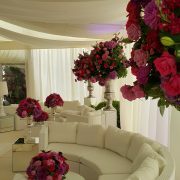 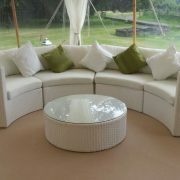 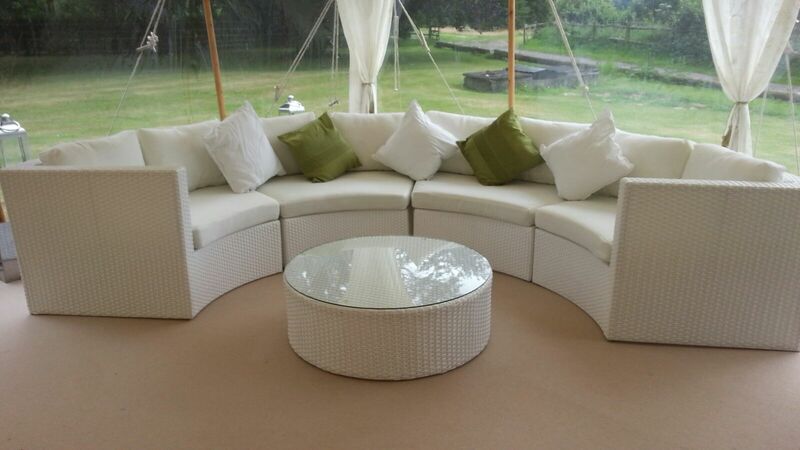 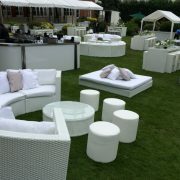 Hire the Bulgari alongside our other white rattan furniture, e.g. 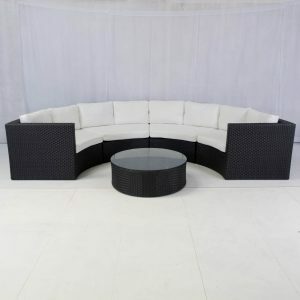 the South Beach bistro sets or the Marrakesh club sets. 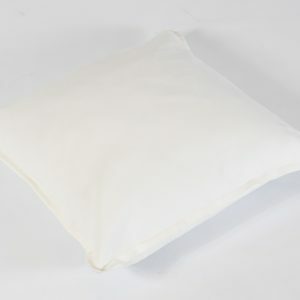 To add a pop of colour, why not add some of our scatter cushions, which are available in many different shades and designs. 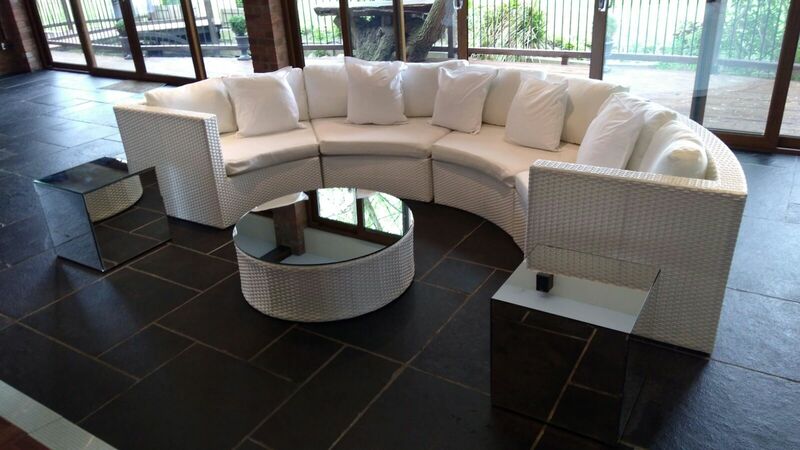 Check out our range of accessories for inspiration! 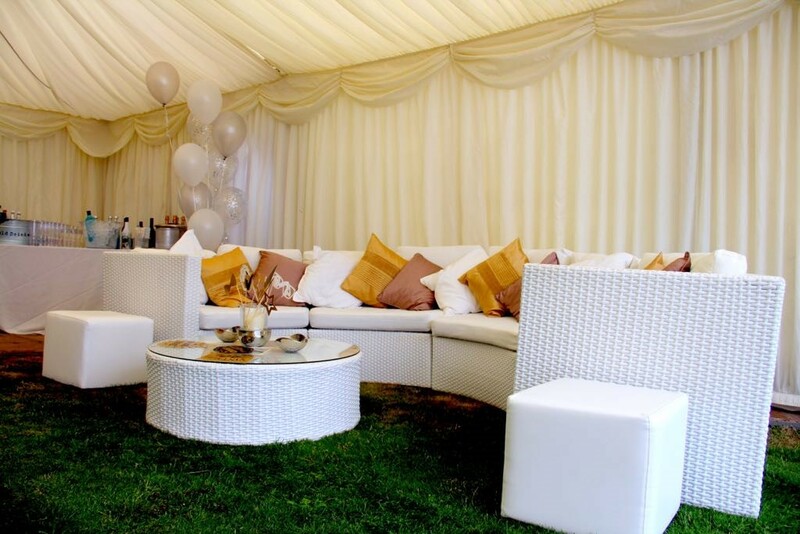 Our white rattan ranges are uber-popular, so don’t miss out! 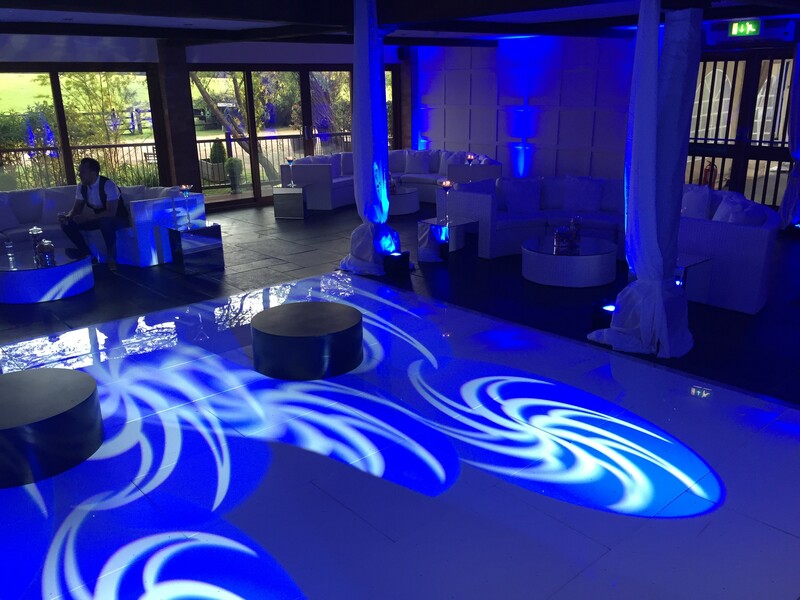 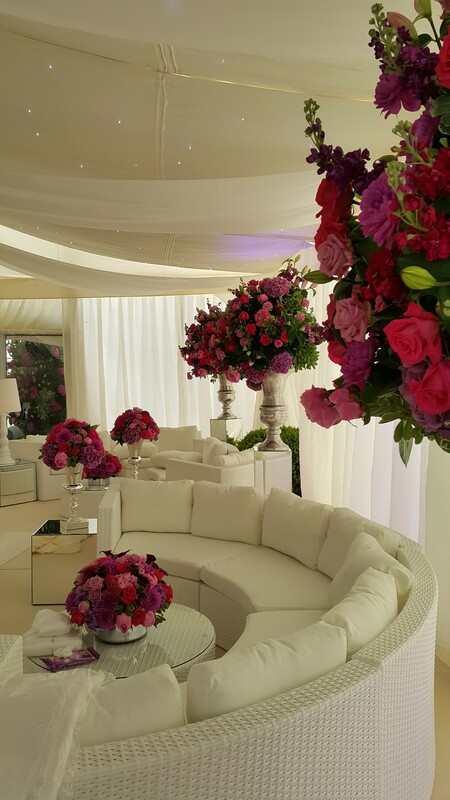 Add the Bulgari White Outdoor Sofa Set to your quote today.